This fashion silver circle necklace for woman, very trendy, is available on our best discount silver jewellery website. This affordable necklace is listed under the women’s necklaces and chains category. 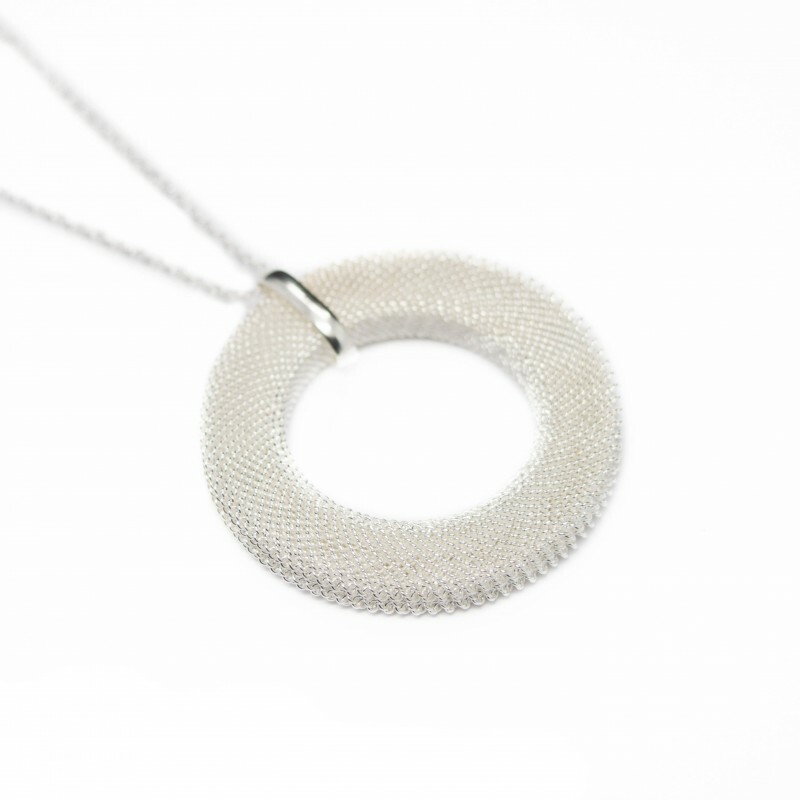 The necklace consists of a simple silver rolo chain and a large circle with a silver mesh texture.